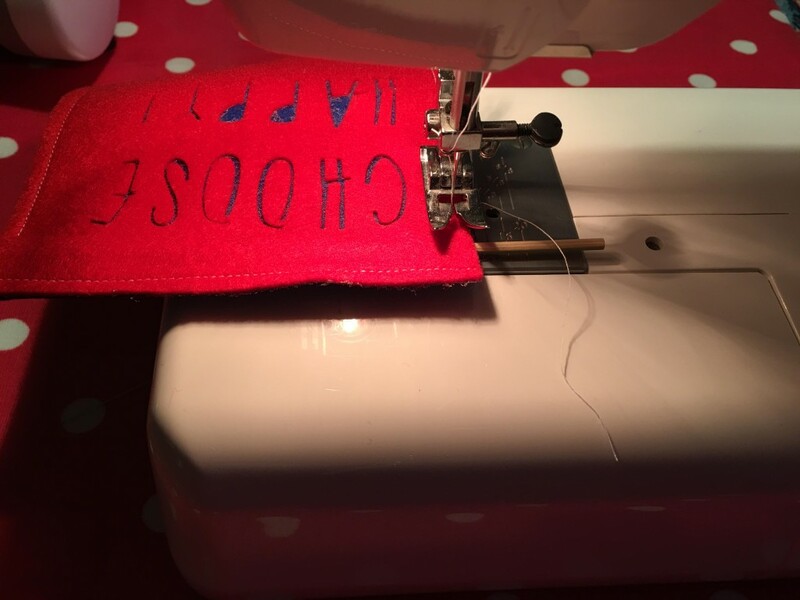 Jenny from the gingerbread house blog back today with a sweet little sewing project to share with you. Over the last week I've been tidying up my craft space. I love to keep it looking fresh so whipped up a sweet little motivational banner. I've used the Bunting die before to create the Union flag bunting I shared a few weeks ago. 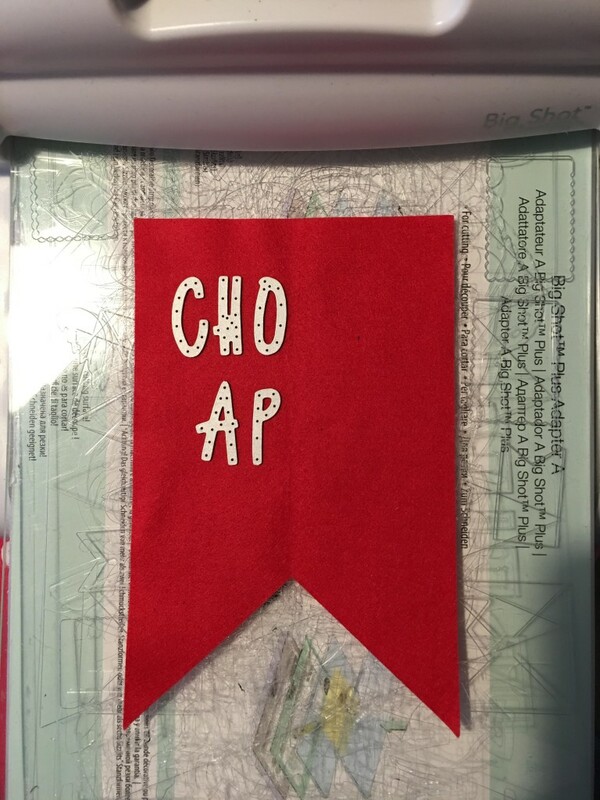 For this craft I used one of the bunting flags. I picked the sheets of felt I wanted to use, one slightly darker to really show the cut out letters. I roughly cut the right size of felt and ironed a piece of Bondaweb to the top piece. 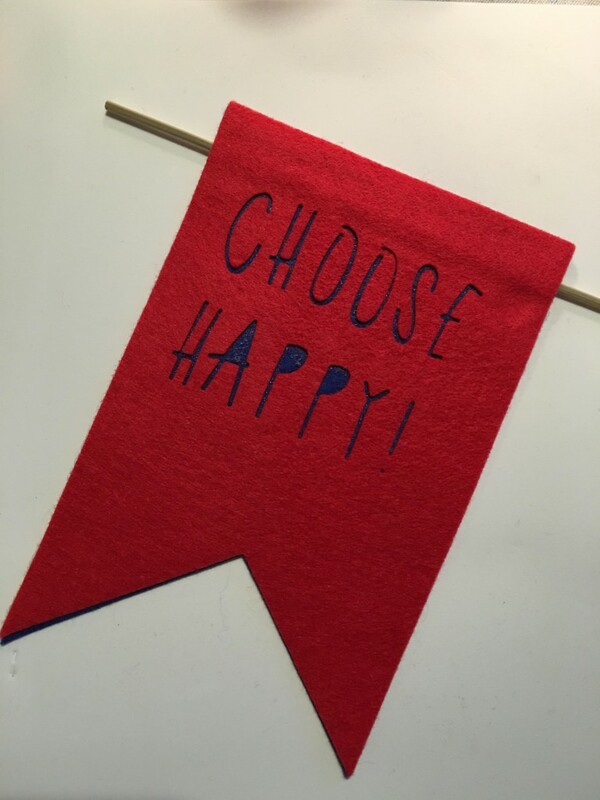 Then I cut two bunting flags from red and blue felt. 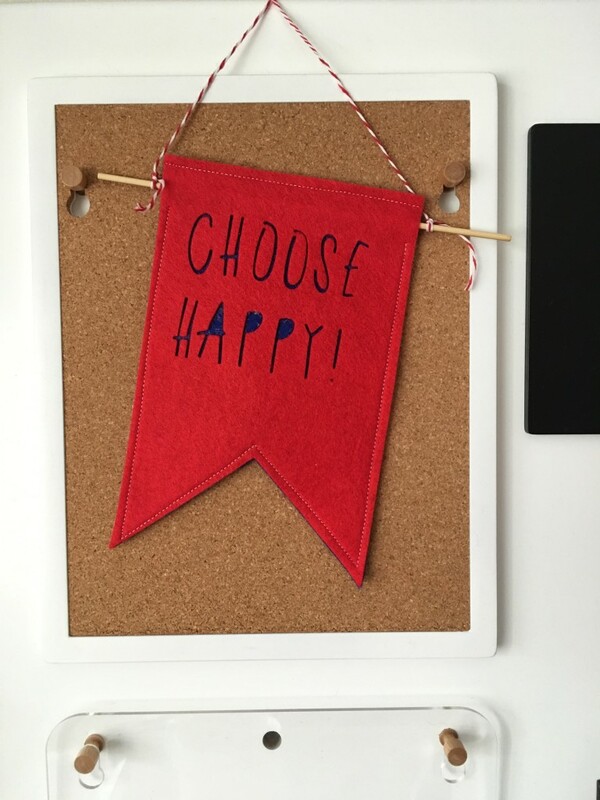 I had already picked my motivational slogan - CHOOSE HAPPY! - so found the correct letters from the Delicate Letters die. I gently folded the red piece of felt down the centre and was then able to positioned the letters on it. Some letters were needed twice so I obviously cut the letters out on a couple of of attempts. 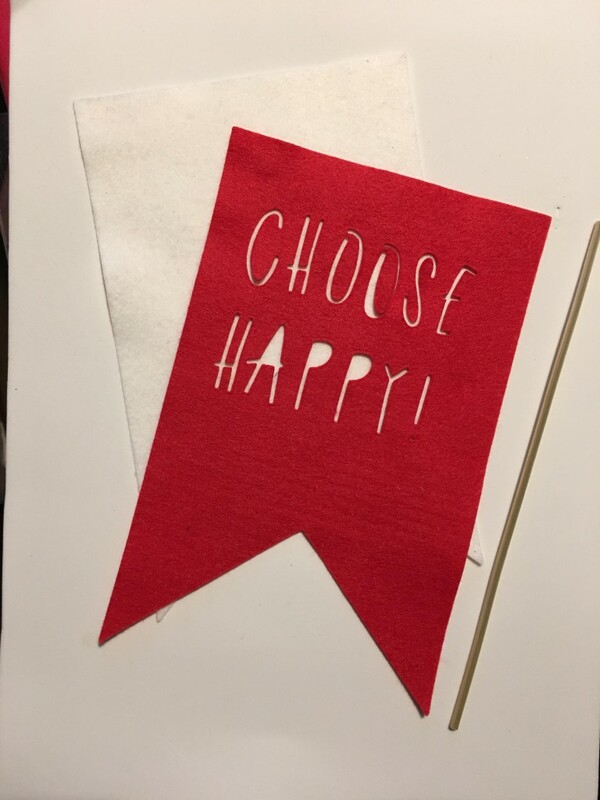 When I had cut out my letters I removed the paper backing and ironed the red and blue layers of felt together, sliding in a piece of dowel between the layers at the top of the banner. To make sure the layers stayed together I then top stitched around the sides of the felt banner. You could hand stitch this if you wanted. To hang my little banner up I added a length of bakers twine to the dowel. I love the Delicate Letters die and love my little banner. What motivational phrase would you put on yours?